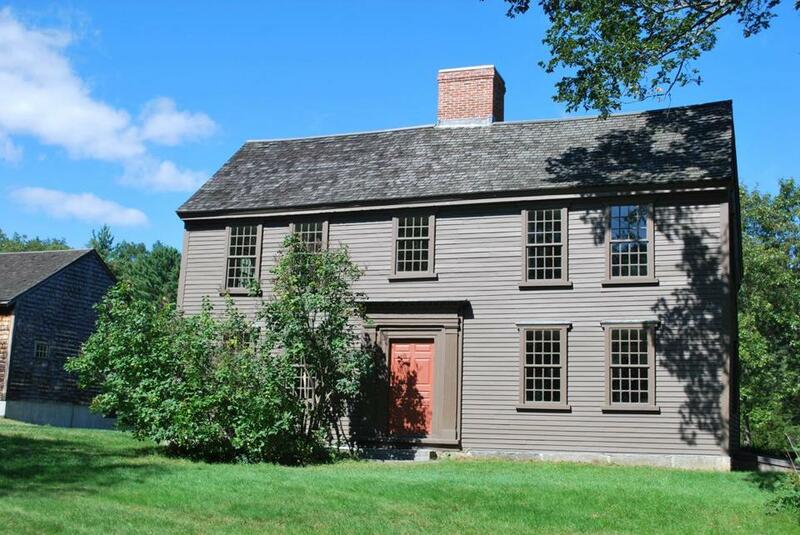 The Jacob Whittemore House was built around 1717 and is the only Lexington structure in Minuteman National Historical Park that remains from the time of the Revolutionary War. Jacob Whittemore lived in Lexington on April 19, 1775; his modest home is one of the area’s few remaining structures that date to the start of the American Revolutionary War. Now, 238 years later, historian Polly Kienle thinks she may have untangled some of the mystery behind why Whittemore and his family stayed out of the fray, and she’s ready to share their story. She will be taking part in a daylong program Saturday at the Jacob Whittemore House, on Marrett Road in the Minute Man National Historical Park, and in a panel discussion next Thursday night at the park’s visitor center. Kienle, 46, who lives in Lexington, has spent several years researching the lives and deaths of members of the Whittemore family in an effort to bring their household to life. The house, which was built around 1717, sits next to Minute Man’s visitor center, yet its residents had become a “forgotten family,” whose story has not been part of the traditional narrative of the Battle of Lexington and Concord, according to the park. For years, the building wasn’t open to the public, and was used as residence space for park employees. Kienle, who specializes in Eastern and Central European history, also works at the park as a seasonal ranger, and in 2009 began “mucking around” with research into the history of the Whittemore House, she said. Then the Friends of the Minute Man National Park received a grant of almost $3,000 from the Massachusetts Humanities Foundation to fund a scholarship-in-residence program that allowed Kienle to investigate the house’s residents. Using a method called family reconstruction, Kienle looked up local birth and death records, tax records, wills, census and property records, and genealogy records to piece together their story. Through the course of her research she discovered that Jacob Whittemore’s father had lived in the house before him, Kienle said, and that the younger Whittemore had lost two wives, each dying within a couple of weeks of giving birth to children. By the eve of the Revolutionary War, Jacob was living in the home with his wife, Elizabeth, as well as his daughter Sarah and her husband, Moses Reed, Kienle said. Kienle said a key question to ask about any family living in Lexington at that time is what they were doing on April 19, 1775 . Historian Polly Kienle has spent several years researching the lives of Jacob Whittemore and his family. She found that neither Jacob Whittemore nor Moses Reed was on the muster rolls when the war began, Kienle said, but within weeks of the first shot, Reed joined the Continental Army and went on multiple campaigns. As a result, it didn’t appear that the family had stayed out of the first day of battle because they sympathized with the British, she said. “It doesn’t look like he’s a slacker or even a Tory,’’ Kienle said of Reed. By looking at vital records, Kienle found that Sarah Reed gave birth to a daughter on April 1, 1775, 18 days before the battle on the Lexington Green. “Maybe it has something to do with that — you don’t know,” Kienle said. The historian also found a passage in a 19th-century genealogy of the Reed family that mentions the Moses Reed family hid in the woods from the British regulars as they came down the road from Concord. Kienle said the family hid because Sarah Reed was very ill; she had to be carried out of the house on a mattress and put on a cart to reach the family’s hiding spot. In addition to explaining Moses Reed’s absence on the first day of the war, Sarah Reed’s illness may also explain what her father was doing that day. “You would imagine that if someone had lost two wives because of postpartum illnesses, and then his daughter was in that situation, he would do everything possible — speculating that he cares at all,” Kienle said. 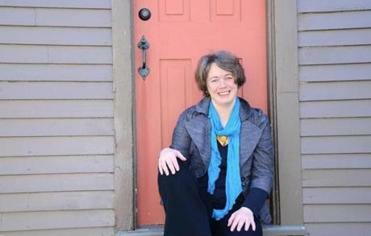 Kienle will discuss her research Saturday in a presentation called “If These Walls Could Speak,” part of a special program of events at the Jacob Whittemore House from 10 a.m. to 4 p.m.
She will also join a panel of experts to discuss the research in “Some Stayed Behind to Protect Their Terrified Families,’’ a forum being held at the visitor center next Thursday from 6 to 7:30 p.m. in coordination with Lexington’s 300th anniversary celebrations. Kienle will also discuss her research at the house several times during the summer; more information about the public programs can be found at www.nps.gov/ mima.